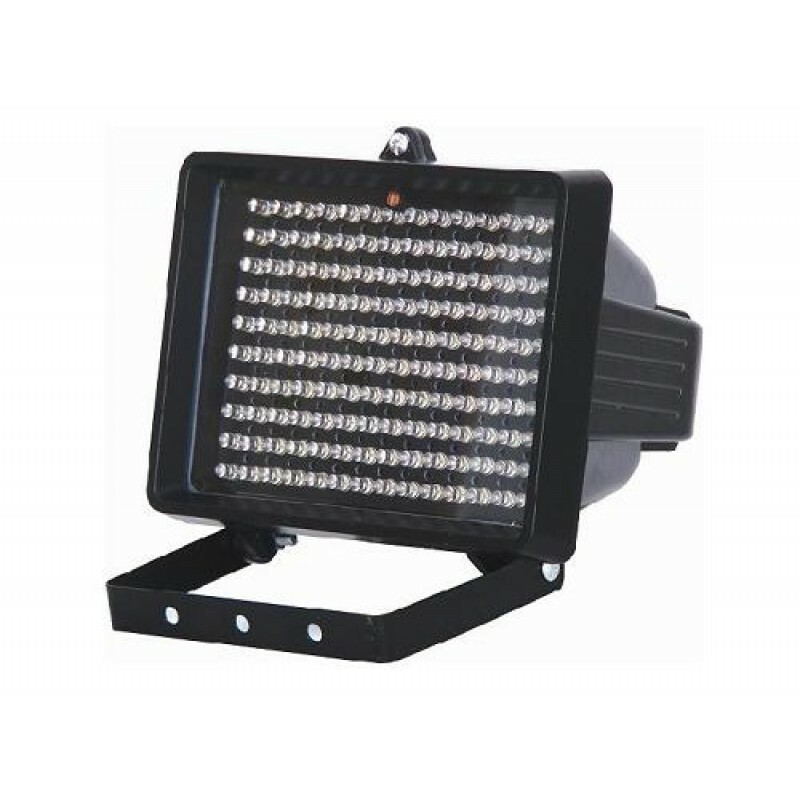 The IR-9100 weatherproof indoor/outdoor Night Vision Illuminator emits infrared light at a wave length of 940nM with a 30º beam spread making it ideal for all indoor/outdoor near-darkness or total-darkness video surveillance applications. The IR-9100 is compatible with our Color Day/Night cameras and our B/W cameras. Measures 6.75" x 6" x 5"
NOTE: The light projected from a 850nM Night Vision Infrared Illuminator is invisible to the human eye however you may see a dull red glow when looking directly at the Infrared Illuminator. For infrared applications requiring complete invisibility (no dull red glow) use our 940nM illuminators. The IR-9100 comes complete with mounting bracket and our one-year warranty.